That's such a cute photo of them! I really like the expression on Sage's face! I used to love to run at our bassets when I was a lil pup. So fun. You don't need to go to the gym, Mr. N. What a workout! You can run circles around them right Mr. N.? You little ones can really get us bigger dogs moving. It's happened many times to us. Good workout! I think Kilo would love chasing big dogs and playing in the dog park if he was not afraid. He loves chasing squirrels on his long leash and toys in the house. Mr N is adorable. Mr. N is afraid of no man or beast lol. 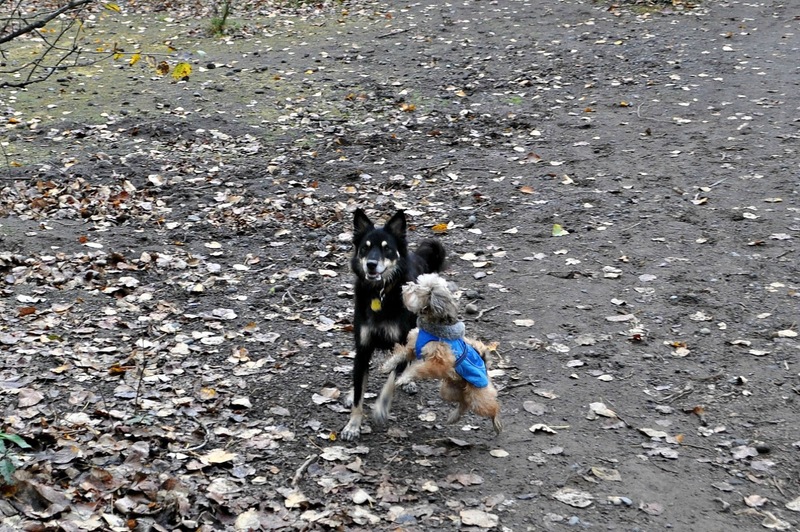 He was playing chase with a Husky once which both the Husky owner and I were wary of but they had fun. I just love all of Mr. N's energy, and the fact that nothing slows him down or puts him off! I don't know where he keeps it all! Haha. I think it was a bit of both. A lot of big dog people tend to be a little derogatory about him… until they see him run! Such a great picture! I will never get tired of seeing the two of them together. Aww, but Mr. N is so much cuter & dignified than a bunny 😉 Definitely a great workout, though! !